We are working to raise $2,000 to build a combination run-in shelter/off-the-ground feeder for the horses at BDRR. We have $1,000 as a match. The run-in will help the horses to seek shelter and protection from inclement or unexpected weather, as well as, provide a shady place of rest during the heat. The off-the-ground feeder will help prevent many equine associated health problems such as colic, intestinal blockage, intestinal parasites, and malnutrition, that can be caused from ground feeding. These problems could potentially lead to extreme medical/vet bills, surgery, and in some cases, even death. $700.00 Donated of $2,000.00 goal including Match. $650.00 Matching Funds Remaining. We are raising money to build a combination run-in shelter/off-the-ground feeder for the horses that do so much to serve the Blissful Dreams Rescue Ranch (BDRR) riders. 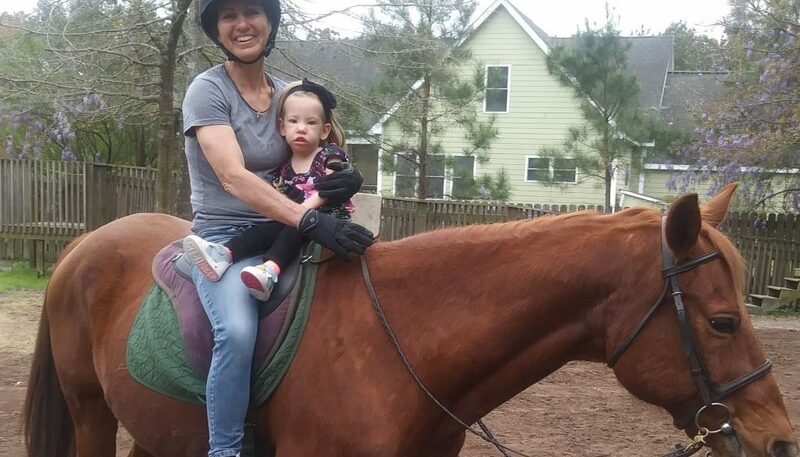 Help us raise our goal of $2,000 so that we can build a place of protection, refuge, and health for these horses just as they provide these things, among many others, for the special children and adults who participate at Blissful Dreams Rescue Ranch (in Huger, SC) each and every day. It will help to serve many! Many of the horses at Blissful Dreams were previously abused, neglected, or rescued from a sentence to the slaughterhouse. Under the care of Jamie Kohler (Founder and Therapeutic Instructor), Blissful Dreams trainers, riders, and volunteers, these precious animals are given plenty of care, attention, positive reinforcement, and lots of love. Now, having overcome their own stresses and fears, Blissful Dreams lesson horses are ready to share their heart and soul with special children and adults. Jamie, the BDRR horses, and many others welcome children, as well as, adults to the farm where they provide an accepting environment that helps to develop friendships, build self-worth, and establish purpose in each individual. No one is judged for who they are or where they come from. BDRR riders, of all ages, all abilities, and all walks of life, come to the farm where the horse and the human develop an indescribable bond and a relationship that is mutually beneficial both physically and emotionally. Therapeutic horseback riding, equine assisted learning (EAL), and equine assisted activities (EAA) are advantageous for everyone, and specialty programs are individually catered for each student, depending on his/her need. These programs commonly benefit children and adults with conditions such as depression, eating disorders, anxiety, ADD, ADHD, learning disabilities, autism, cerebral palsy, dyslexia, speech and language delays, behavioral issues, and PTSD. Blissful Dreams Rescue Ranch and its horses also work with children in foster care, juveniles in group homes, people who have experienced traumatic life events, and riders that deal with many other challenges ranging from mild to severe. Please visit Blissful Dreams Rescue Ranch to learn more about what they do, who they serve, and/or to see ways that you can help! I first learned of this wonderful organization and facility through my work place (thanks, Destiny). Thank you for all that you do for the horses and for the riders! So thankful for Blissful Dreams Rescue Ranch and all involved there! Absolute Godsend to me and mine! Jamie, Patsy, Preston, all the horses, and sooooo many others...thank you for all of the love for Josie, Davidson, and myself over the years! You all have been a Godsend to me and mine and a blessing to many more than you can even begin to realize! We love all of you and all that you do!